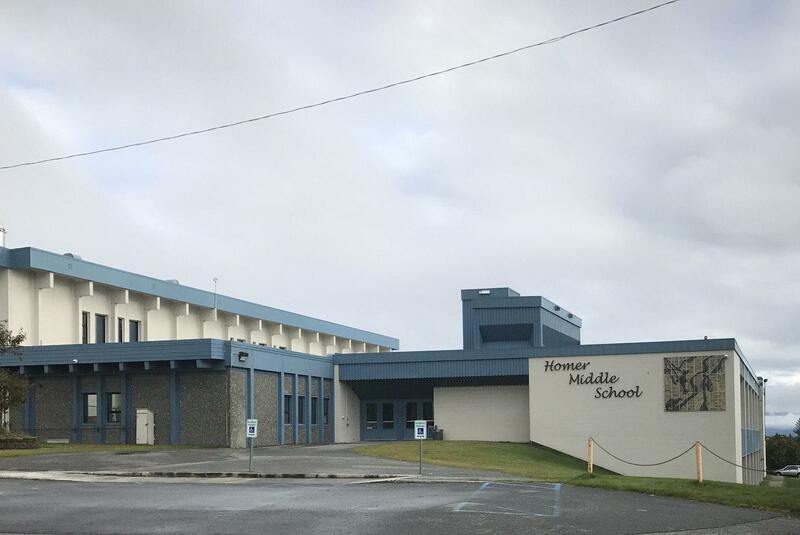 The Kenai Peninsula Borough School District is adding Homer Middle School to a list of six schools that would potentially close under Gov. Mike Dunleavy’s proposed cuts to K-12 education. The district is considering moving those students into the Homer High School and is reaching out to parents about the idea via a survey and a meeting next week. Assistant Superintendent John O’Brien said the $22.4 million the district would lose under Dunleavy’s spending plan is jumpstarting these conversations across the district. “Even if the full $22.4 million cut doesn’t happen, we’re fairly certain over the next several school years, the district is looking at a reduction in funding likely from the state and potentially both from the borough as well,” he explained. O’Brien said these discussions are preliminary and that the school board would need to approve all school closures. Even if the board decided to close Homer Middle School, O’Brien adds that likely would not happen until 2021, although he’s not making any promises. This comes as the district is considering six other school closures. That list includes Chapman School in Anchor Point, which also houses some middle school students that would need to attend school in Homer. That brings up capacity questions for Homer High School. With the addition of Homer Middle School students alone Homer High’s projected student population would grow from 400 to nearly 600 kids. “I don’t believe we would have the capacity to do a Chapman consolidation and a Homer middle into Homer High. It would be a situation likely where it’s one or the other,” O’Brien added. Most of these conversations are dependent on where the Legislature lands on the state’s budget, a process that’s still ongoing. Currently, the district is proposing a flat budget compared to last year, but O’Brien said administrators and school board members are working on a contingency plan that will likely set the tone for the discussion on school closures. “As soon as we know those final funding numbers, we’ll be putting forth a new budget at that point in time. What we’re going to have is a budget with prioritied cuts or tiered cuts,” he said. District administrators will hold a special meeting on that topic on April 18 and a community meeting on the potential consolidation of Homer Middle and High schools on April 15 at 6 p.m. in the high school commons.